The Orbit Black Knight Poly-Cotton 205gsm Warehouse Coat is an excellent coat for working in warehouses or large storage facilities. Multiple pockets on the front and chest makes this garment versatile for storage. Overall an excellent coat that will protect from dirt and dust. Made from 65% Polyester 35% Cotton 205gsm fabric. Manufactured from a Stainless steel mesh. Provides superior cut and puncture resistance. Remains comfortable Whilst providing superior protection. The hygienic Wrist strap used is colour coded and non-fading. Ambidextrous making these gloves easier to put on. Stainless Steel Cut & Puncture Resistant Safety Chainmail Glove conforms to EN1082, EN412 & EN388 2.5.4.X. Coloured plastic supports to the sizes coding. Price refers to the single glove. Maintains the users comfort whilst providing superior protection. Ambidextrous avoiding any chances of confusion. FMplus Stainless Steel Cut & Puncture Resistant Safety Chainmail Glove conforms to EN1082, EN412 & EN388 2.5.4.X. The price refers to the single glove. 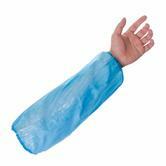 HypaPlast Detectable Blue Plasters for use within food processing and catering environments. With a sterile, waterproof design, these catering plasters are also hypoallergenic. Each box includes 5 of different sizes and types of plasters to cover any cut or graze. To keep sterile each plaster wrapped individually. Detectable Blue Plasters are X-ray and ferrous metal detectable. The Sioen 8042 Bratislava Apron is a classic style apron with adjustable back fastening. Made of 100% polyester fabric with PVC coating. Ideal for protecting clothes from dirt and grime. Protects against chemicals and acid splash. These oversleeves are great for food handling and wet work tasks. 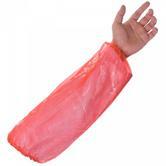 Made from Polyethylene with elasticated wrist/elbow. Supertouch PE Disposable over sleeves are suitable for numerous applications, such as: Hygiene rules, Food processing, General wet handling tasks or In-flight catering. Supplied in packs of 2000 units. With the inclusion of a metallic strip, increased X-ray and ferrous metal detectability. 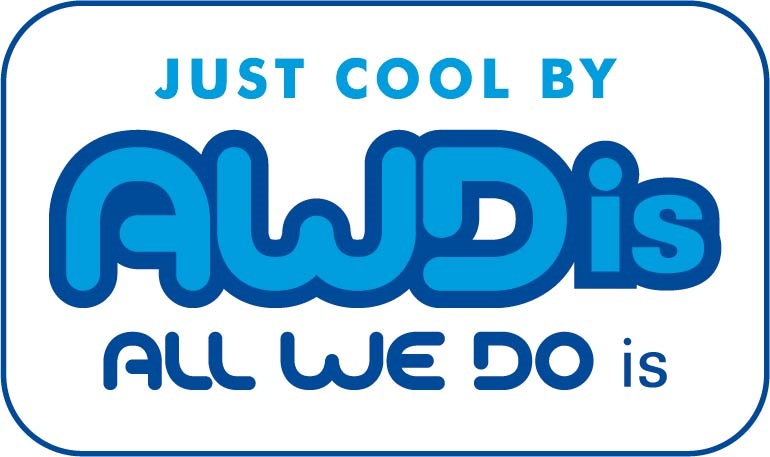 Perfect for use in food processing and catering environments. Detectable Mob Caps are a simple and effective way to cover you hair whilst working within hygienic environments. The Portwest C833 is the perfect Chefs Jacket for the modern kitchen environment. Portwest C833 Suffolk Unisex Chefs Jacket made from 65% polyester, 35% cotton. With its patented metal clasp and its unmatched fit this chainmail glove stands for high wearing comfort and fatigue-free working. Manufactured from 0.55MM Stainless steel mesh providing superior cut resistance. Patented metal clasp for easy and infinitely adjustable fastening. Ambidextrous design, suitable to wear on left or right hand. Easy handling and no need for spare parts like press buttons, buckles or replacement strap. Unique fit based on ergonomic design without mesh overflow at the finger tips. The unique design of the gloves ensures that bacteria has nowhere to hide improving hygiene levels. Long lasting and durable, the materials used allows these gloves to out live most other cut resistant safety gloves. High flexible enforcements for exceptional comfort and to keep the glove from sliding down the arm. Ideal for jobs that require maximum cut protection such as Butchers. Niroflex 2000 Chain Mail Gauntlet Glove 22cm conforms to DIN EN 1082-1 \ ISO 13999-1 Safety Standards. White Breathable Single Use Nylon Hairnets Hair Nets. Our Nylon Mesh Hairnets offer simple and effective hair coverage making them perfect for food processing and handling tasks. If preventing contamination is your top concern, these hairnets are the product for you. Exceptional fit, secure and comfortable. 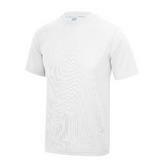 White colour, ideal for uniforms. 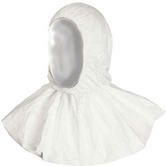 This hood is tear and abrasion resistant with water repellent functionality. This antistatic hood offers enhanced comfort thanks to the products breathability. Manufactured from high density polyethylene providing a combination of comfort and protection. Permeable to both air and water vapour but repels water based liquids and aerosols. Elasticated around the neck for improved product security and comfort. Professional and stylish this classic apron is made with durable cotton fabric. The handy adjustable neck tie adds to the versatility of this classic style. This waterproof apron offers complete versatility and functionality for all catering professionals. A classic chef's hat with absorbent sweatband. High quality pleated embossed paper chef’s hat. Light and comfortable to wear with sweat band for extra comfort. Adjustable to fit all head sizes. The Portwest Pork Pie Cap has elasticated back for a secure, tight fit. Ideal for chefs, butchers or cooks. In a choice of two distinctive colours, this butcher apron is made with premium long lasting cotton fabric so that you can be assured of a durable, hard wearing garment. In addition, this style features a handy outer pocket and an adjustable neck tie. 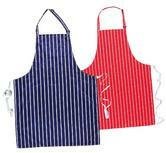 Our hand selected Butchers aprons are ideal for any butcher. Manufactured with grease and dirt repellent properties, these aprons keep the users clothing clean throughout the work day. The white PVC easywipe Sioen Butchers Apron or the Portwest Butchers Apron S839 is a prime example of these quality butchers aprons. The white safety wellies are perfect for butchers. 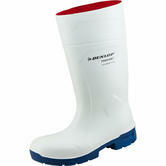 Many of these safety wellingtons, like the Dunlop Purofort Midsole Protection C361141 are white, wipe clean. We also have winter, insulated Dunlop Thermo+ safety wellingtons which are ideal for working in colder areas (fridges) with thermal insulation maintaining the users warmth in temperatures as low as -20c. Wellingtons are great for keeping dirt and grime out which proves to be handy for Butchers prepping meat. The white safety wellies are perfect for butchers. Many of these safety wellingtons, like the Dunlop Purofort Midsole Protection C361141 are white, wipe clean. We also have winter, insulated Dunlop Thermo+ safety wellingtons which are ideal for working in colder areas (fridges) with thermal insulation maintaining the users warmth in temperatures as low as -20c. Wellingtons are great for keeping dirt and grime out which proves to be handy for Butchers prepping meat. Finally we also stock white safety trainers. We stock Chain mail Butchers Gloves. These gloves all reach the highest levels of cut resistance making them very useful for any butcher handling and cutting meat. The FM Plus Chainmail Safety Glove is a great example. 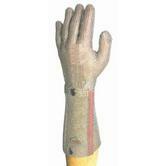 This glove is manufactured from stainless steel, which proves to be very cut resistant. This makes these chain mail gloves and chain mail gauntlets perfect for butchers. With the ambidextrous design, chain mail gloves can be worn on either hand. Butchers often need to wear Hairnets. 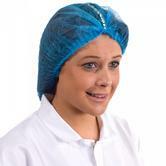 We have you covered with our lightweight hygienic hairnets suitable for both male and female. The white polycotton work coats found here (much like our aprons) are ideal for keeping the users clothes clean and grease free. The Orbit PC205W Coat is perfect for this task. It is typcially used in butchers, abbatoirs and fishmongers, to keep the users clothing clean. 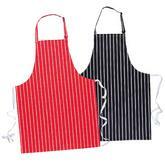 Other butchers garments such as checkered Chefs Trousers and white T-shirts are also suitable workwear for butchers. They tick all the right boxes in terms of comfort and durability.